On my first trip to Poland as a railfan, I was very much in the dark. There was no public internet in 1990, and information about interesting operations was almost impossible to find abroad. 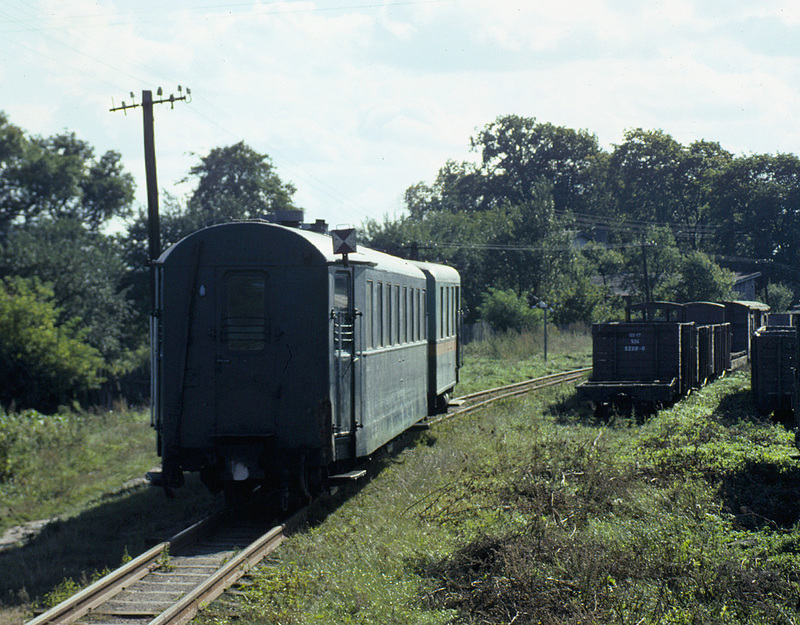 On 17 September 1990, while riding a train from Tczew to Malbork to visit the castle there, we noticed a narrow-gauge operation adjoining an intermediate station. On the trip back, we got off at that station, Lisewo, to see what was there and had our first introduction to the Gdańsk Narrow-Gauge Railway (GKD), a part of PKP (Polish State Railways). We walked down the stairs from the elevated main line platforms, crossed the street, and found ourselves at the Lisewo Wąskotorowe (Lisewo Narrow-gauge) station. It was pretty quiet on this late afternoon—not a soul to be seen. A one-coach passenger train sat at the platform. PKP locomotive Lxd2-346 stands in the station at Lisewo with a Romanian-built coach. 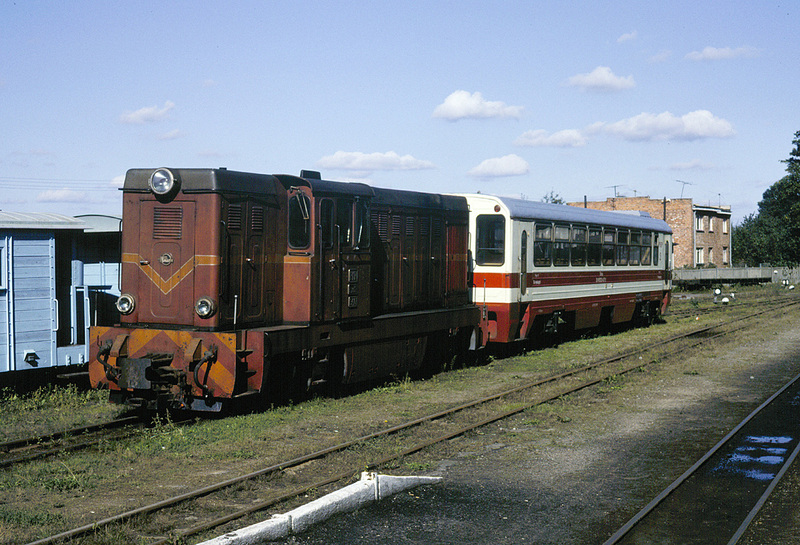 This locomotive was later moved to Krośniewice, where it sits as a hulk today, long out of service. Across the tracks was a brick shop building. Various pieces of 750mm gauge equipment sat around, most in various states of disrepair. The most interesting find was a steam locomotive, Px48-1784. It was cold on this day, but showed signs of having recently been run. 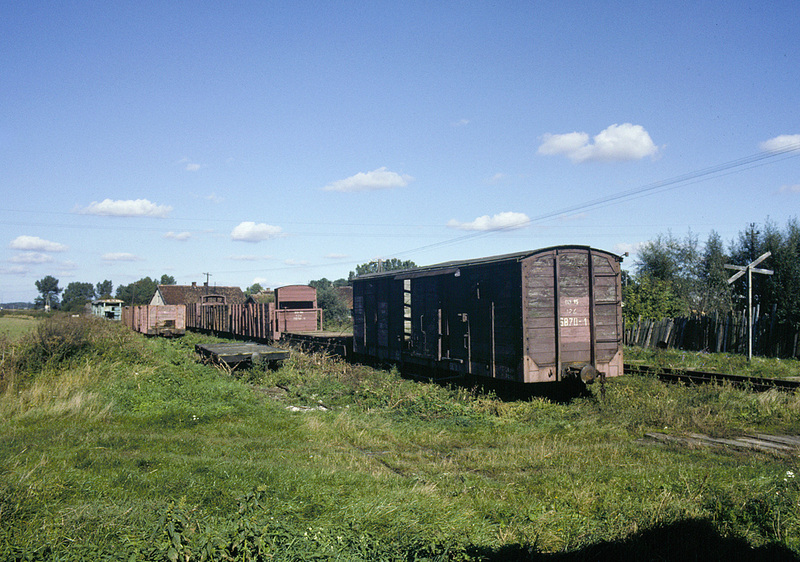 There were many wooden freight wagons stored at Lisewo. 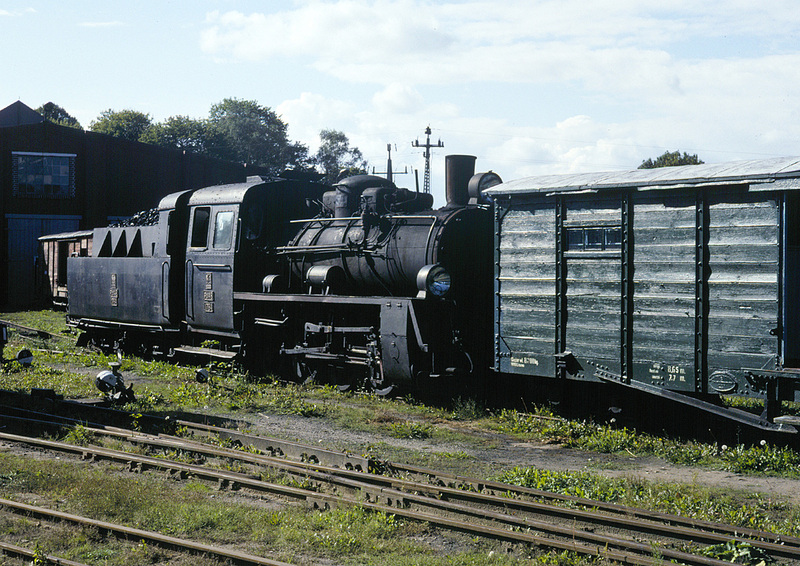 PKP Px48-1784 sits outside the shed at Lisewo. It was cold, but had recently been steamed—I don’t know if for normal service, or a charter. Records show that #1784 had arrived in Lisewo just this year, having been transferred from Gniezno. 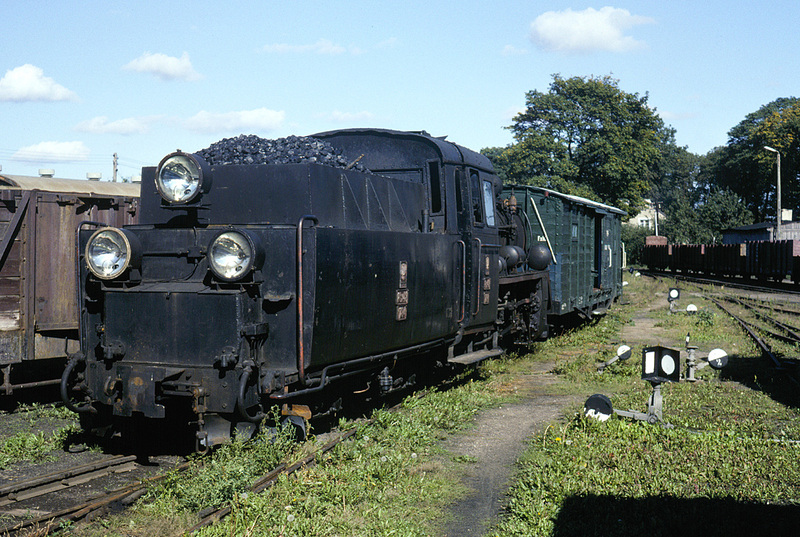 Px48-1784 outside the shop at Lisewo—this locomotive would in 1995 be transferred to Mława, where it stands to this day as a hulk. The sound of a distant horn caught our attention. We walked down the tracks to the north end of the station, and through the fields spotted a green railcar making its way towards us. MBd1-137 flew into Lisewo, scattering the chickens and marking the end of the operating day for this little railway. Railcar MBd1-137 arrives at Lisewo, located just across the Wisla River from Tczew. 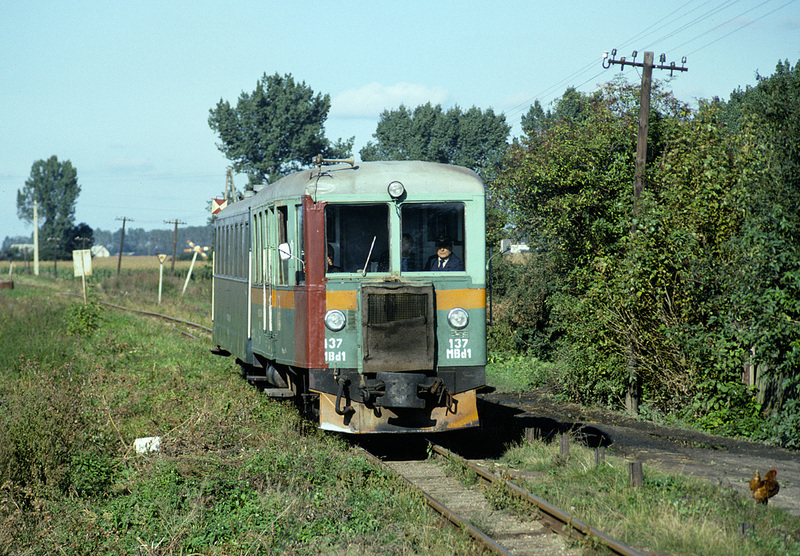 This was a regularly scheduled passenger train from Nowy Dwór Gdański. The passenger train passes stored freight wagons and will shortly arrive at the station. The “main line” at Lisewo, looking north. Note the concrete sleepers. 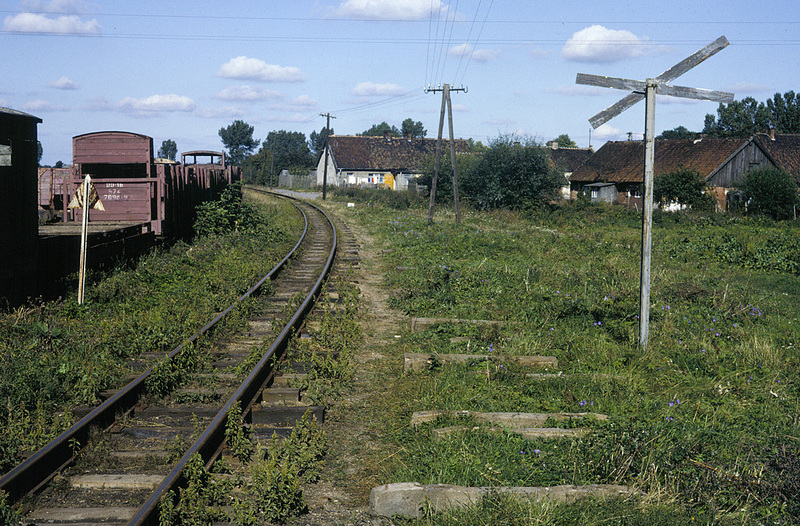 Within a few years the shops at Lisewo were closed and the tracks lifted. I did have a chance to ride a section of the GKD north of here, which will be covered in an upcoming post.